Seattle Slew has left a substantial legacy behind. A prestigous owner of the title of Triple Crown winner, (last won by Affirmed in 1978 – which proves just how difficult it is for a horse to achieve this feat) can be found in the pedigrees of A.P Answer, A.P Arrow, Just As Well and Mon Sang, all sons of A.P Indy bar Slew The Red, who is by Red Ransom. Seattle Slew was foaled on February 15, 1974 at Ben Castleman’s White Horse Acres Farm near Lexington, Kentucky. Sired by Bold Reasoning out of the Poker mare My Charmer, Seattle Slew was a beautiful dark brown colt with a small white patch of hair by his left rear hoof. Bold Reasoning stood for only three seasons at Claiborne Farm before his untimely death on April 24, 1975, when his first crop were yearlings. His demise was attributed to a breeding-shed accident in which he cracked his pelvis. The injury later led to a severe colic from which he had to be euthanized. Among his 61 foals were nine stakes winners (15 percent), including French champion two-year-old Super Concorde. 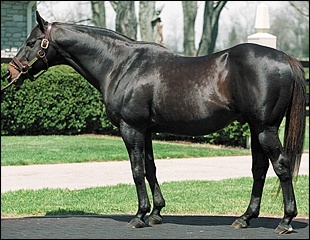 In just two full seasons as a stallion, Bold Reasoning produced Seattle Slew as well as champion Super Concord, and seven other stakes winners. My Charmer had a few things in common with her special foal. She and Seattle Slew were both bred by Ben Castleman, and were both first-foals. Seattle Slew was My Charmer’s first foal, and My Charmer had been Fair Charmer’s first foal to live. Seattle Slew’s eventual owners, Mickey and Karen Taylor, both had an affinity toward first-foals, and for them this was yet another attractive aspect that added to his allure. My Charmer was by Poker, and became her sire’s first stakes winner. My Charmer produced 11 named foals, including three other stakes winners and two-stakes-placed runners. Among those are the successful sires Lomond, a classic winner in Great Britain, and Seattle Dancer, a son of Nijinsky II who became the most expensive yearling ever sold at public auction when he was hammered down for $13.1 million at the 1985 Keeneland July Yearling Sale. Seattle Slew, by a young and unproven stallion and mare was not heralded by those in the industry or media during the formative first two years of his life. But as he developed, he left an impression on every one that came in contact with him and it soon became apparent that his unique talent and charm could not be denied. Seattle Slew’s ability to fight through adversity is probably the most important characteristic that set him above all other Thoroughbreds. It was never more apparent than in 1978, when he fought off a life-threatening collapsed left jugular vein and its effects in January and returned to the races in May. Veterinarians were concerned for his life and had suggested that he would never race again, but Slew’s iron will took over and proved them wrong. During that four-year-old campaign, Slew also overcame a suspensory ligament injury, a filled ankle, and several other hurdles that would have stopped even the greatest of Thoroughbreds. Slew emerged from under all that during 1978 under the guidance of trainer Doug Peterson and produced some of the greatest performances of all-time against some of the greatest competition any elite horse has ever faced. He won the 1978 Eclipse Award as the top Older Male in North America. He most certainly deserved the title of 1978 Horse of the Year, having defeated the recipient of that award on two occasions by a combined 22 lengths. He had that special something that no one can ever really truly describe. 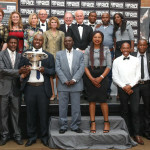 He had character and a pizzazz that enhanced the raw talent that he displayed as a runner. He simply was the most electrifying and magnetic horse the industry has ever witnessed. During his life, Seattle Slew re-wrote the history books and became a Thoroughbred-racing icon. His legend will only continue to grow over time. 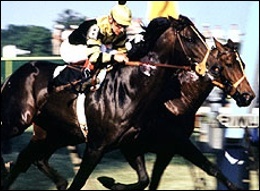 Seattle Slew’s personality was marked by many special traits and interesting characteristics. He was an extraordinary horse. The intelligence he portrayed was his foremost attribute. Many who had an opportunity to spend time with Slew considered him the most intelligent horse they had ever been around. Those that interacted with Slew felt it was like communicating with a human being. It was really interesting to see Slew face a situation that was placed in front of him and watch as he contemplated a response. 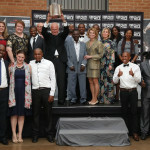 Slew had fire, energy and an extremely focused mental attitude when there was a hint of racing at hand. His mental air-of-superiority and eagerness to perform manifested itself in his post-parade antics. This spark of enthusiasm and passion for racing burned memories in the minds of those who witnessed his famous war dance on the way to the post. Slew enjoyed being tacked up and led to the track for his morning exercises, even whilst in retirement and stud duty he was excercised daily. He loved the cold weather and snow. 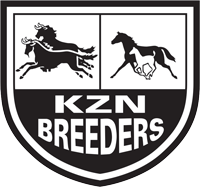 The wintery beginning to every year triggered the anticipation of the upcoming breeding season. He spent many hours looking through the back door of his stall anticipating and viewing the arrival of mares. When children were present, he always seemed to show them a particularly kind eye and pay them special attention. He loved to have his picture taken and always posed. His best racehorses he produced were A.P. Indy – 1992 Horse of the Year, winning Belmont Stakes and Breeders’ Cup Classic, Capote – Champion 2 year-old in 1986, Digression – Champion 2 year-old in England in 1989, Landaluce – Champion 2 year-old filly in 1982, Slew O’ Gold – Champion 3 year-old in 1983; older champion in 1984, Swale – Champion 3 year-old in 1984, winning Kentucky Derby and Belmont Stakes and Vindication – Champion 2 year-old in 2002. His most successful sons at Stud are his biggest flag bearer, A.P. Indy – sire of current sensation Bernardini, Capote, Chief Seattle, Doneraile Court, Slew City Slew and Vindication to name but a few. 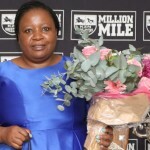 As a broodmare Sire he has been responsible for the amazing Cigar – 1995 and 1996 Horse of the Year and Champion Older Male and at one time North America’s all-time leading money earner, as well as Golden Attraction – 1995 Champion 2 Year-Old Filly, Hishi Akebono – 1995 Champion Sprinter and Miler in Japan, Lemon Drop Kid – 2000 Champion Older Male amongst many others. Seattle Slew developed difficulty covering mares and walking due to problem with his spine being compressed. Mickey Taylor described Slew’s walk looking like a crab when his front legs go one way and his hind legs another. A special research fund in Slew’s name had been established at the College of Veterinary Medicine, Washington State University, Pullman, Washington. When the fund matures it will support continued research into the diagnosis and treatment of equine spinal cord disease. Washington State University is where the surgical technique for treatment of compression of the spinal cord was developed. 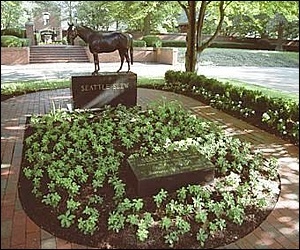 Washington State University is also the alma mater of four members of Seattle Slew’s surgical team. Funds donated by the Taylors in 1977 after his Triple Crown helped support this research. Years later the results of this research were to benefit Seattle Slew when he required surgery for the treatment of his own spinal cord compression. Slew had been moved after his second operation on his spine to Hill ‘n’ Dale, a quieter farm, because he was too close to the breeding shed and it caused him to become agitated when mares arrived. He had been ailing the previous two years with arthritis and had undergone two delicate spinal fusion operations. Slew had still been a bit wobbly after the second surgery, which was to “normalize,” him, Taylor said. The first one, the owner said during an interview, “saved his life.” Interestingly, it was Seattle Slew’s pioneering surgery and the invention of the “Bagby Basket” – an implant inserted during surgery, that gave hope for Jet Master. Jet Master was affected in a similar way due to contracting West Nile Virus. Seattle Slew’s surgeons flew out and performed the same operation on Jet Master, but sadly the great stallion did not survive. 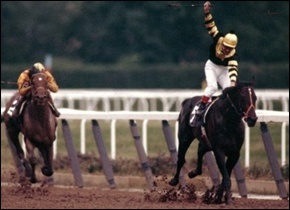 Seattle Slew died in his stall May 7 at the relatively advanced age of 28. His death came on the 25th anniversary of his Kentucky Derby victory. Slew was buried beneath a statue in a courtyard at Hill ‘n’ Dale Farm near Keeneland.